The hugely successful Tedx/Fulbright collaborative event is coming to Australia’s capital city in July! 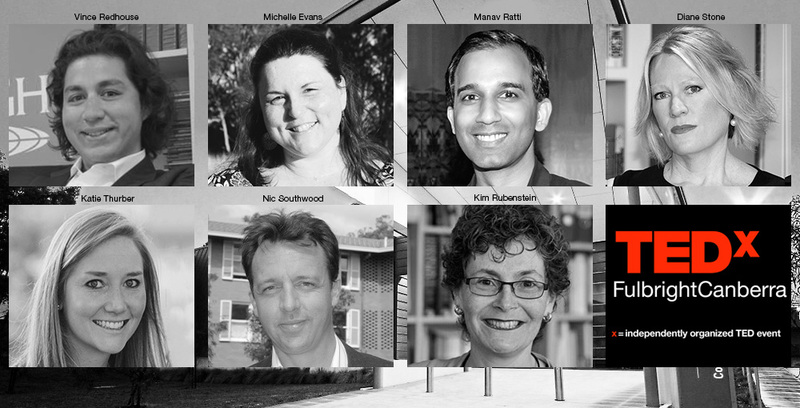 TedxFulbright Canberra will focus on the topic of Empathy & Transformation. Fulbright alumni often describe their scholarship period as a deeply transformative experience, during which they adopt a different frame of mind to empathise and interact with their hosts overseas. Seven distinguished Fulbright scholars and alumni have already been confirmed in the roster of speakers, bringing a diverse gamut of perspectives to the theme. The event will be held at the University of Canberra’s Anne Harding Conference Centre, Thursday 6 July, 2017, from 5:30 pm AEST. TedxFulbright events are coordinated and led by a community of dedicated Fulbright alumni. The events feature a suite of short, carefully prepared talks, demonstrations and performances that are idea-focused, and cover a wide range of subjects to foster learning, inspiration and wonder – and provoke conversations that matter. For more information on TedxFulbright Canberra, see the online registration page.